CoLour Zone Cosmetics is the leading supplier of cosmetics makeup tools; we could be your one stop shop to refresh your stock. Wide range of wholesale makeup and cosmetic tools are designed for all makeup lovers. From makeup brushes to eyeshadows, here you can find the supplies for both personal and professional use. 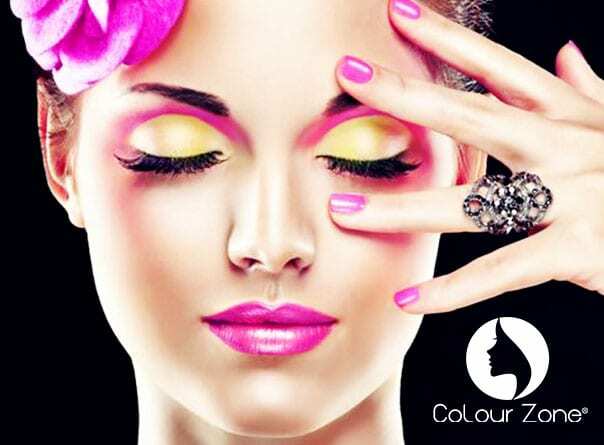 At CoLour Zone Cosmetics, we have wide range of branded wholesale makeup and cosmetics products to offer. From high street to high end, with new stock arriving regularly, we guarantee to stock you with latest products have great names. Who doesn’t love great products with friendly price? CoLour Zone Cosmetics offers number of different wholesale items on sale. It could be seasonal sale, promote products, or simply just something we’d love to do to help you build your business. At CoLour Zone Cosmetics, we believe that beauty comes from within all of us. Our products are designed to let everyone’s inner beauty shine through.